INFORMAÇÃO ADICIONAL:SOQUETE EM POLICARBONATO. IDEAL PARA AMBIENTES ONDE O CONFORTO VISUAL E A HOMOGENIDADE DA LUZ SEJAM NECESSÁRIOS. ACESSÓRIOS COMO LÂMPADA E TRASNFORMADOR NÃO ESTÃO INCLUSOS. 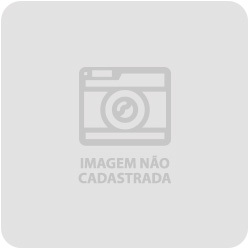 GARANTIA DE 5(CINCO) ANOS SOBRE A PEÇA, NÃO INCLUINDO PARTE ELETRÔNICA DE COMPONENTES COMO LED, FONTES E REATORES. LUM. SOBR. ACRILICO LED 19W 4.K BIV. Lum.sobr. Led19w 3.k 23x59cm Biv. Lum. Sobr. Led 37w 4.k 60x60cm Biv.